Jelena Ivačković , MSc in Animal Breeding, expert in horsemanship, horse trainer , riding instructor , former assistant professor of Horse breeding and Genetics and expert associate of equine breeding programme of the Faculty of Agriculture in Novi Sad; founder of Equine center for rehabilitation, recreation, relaxation and education “In the saddle”. The mission of our Horse Assisted Education workshops is not to explain things to people but to provide them with the opportunity to understand and discover for themselves. Horse Assisted Education is an emerging field in which horses are used as co-facilitators and potential catalysts for emotional growth and learning in humans. The focus is not on riding or horsemanship. Almost all activities take place on the ground. 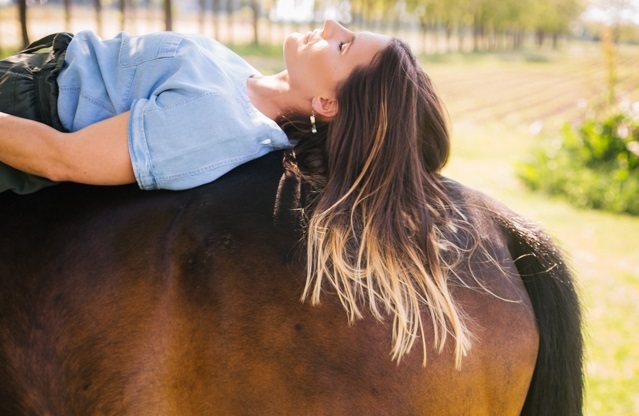 Sessions involve setting up activities using horses that offer an opportunity for clients to learn about themselves or that may require they apply certain skills. Non-verbal communication, assertiveness, creative thinking, problem solving, leadership, taking responsibility, teamwork, confidence, attitude, and building relationships are several examples of the skills that may be applied in sessions. We help people gain clarity about what they intend to create in their lives and businesses and identify the key issues and opportunities that need to be addressed to produce the results they desire.